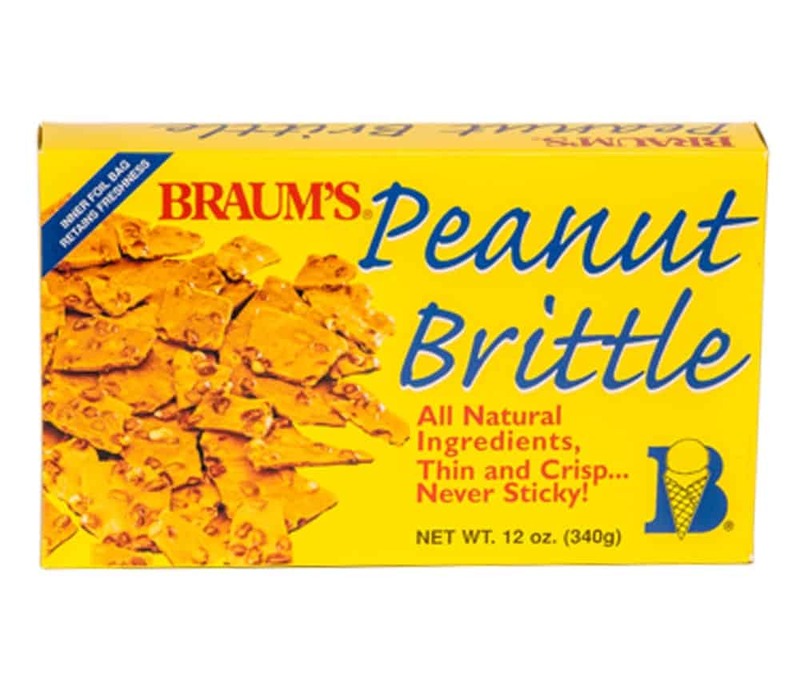 Braum’s Peanut Brittle made with fresh peanuts, thin and crisp…never sticky! Inner foil bag retains freshness and this popular item is available year round. 12 oz. box.